Michael Saylor, CEO of MicroStrategy, has strongly criticized Microsoft's launch of the Surface tablet as the "most disastrous product announcement in a decade". "Logic dictates that you better damn well be shipping the new product when you announce it because you don't want to freeze the old product and not have a new one. That's disastrous, it'll take you off a cliff," he said. "Common sense would say that before you freeze the market and alienate your customers and partners you better to have something good to show. 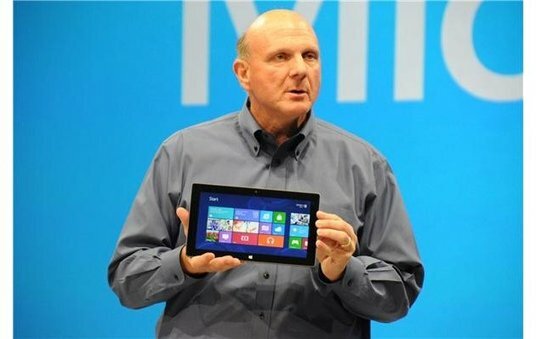 Microsoft managed to alienate HP, Dell, Intel and every CIO." Suffice to say, it's very difficult to disagree with him. If not the most disastrous, the Microsoft Surface and Windows 8 are, in the very least, the riskiest moves Microsoft has ever made.